For those who might be wondering why there is a need for guest blog posts when this is only a personal blog, read on. 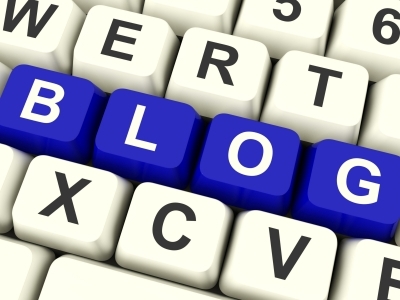 Guest blogging is still blogging per se but you are posting the content to someone else’s blog for a few reasons. One, it’s for Search Engine Optimization or SEO purposes. SEO attempts to increase your site or blog’s rank in search engines in relation to a specific keyword. In connection to guest blogging, you can write a post relevant to the host blog. If the blog master allows links, you may create a link back to your own site or blog using your preferred keyword as anchor text. That link will be counted by search engines as backlink for your site or blog for SEO. Aside from SEO, guest blog posts also instantly offer immediate traffic through viewers reading the host blog and through syndication if the said blog syndicates its content through various portals including social media networks such as Facebook and Twitter, RSS feeds, newsletters, and email. Lastly, a blogger can take on the challenge of writing blog posts within another blog’s content rules and guidelines. As for me, I am currently catching up with pending work that I was not able to attend to for the past few weeks or even months so I barely have time to update this blog. I also have several ideas waiting to be written as well as photos needing to be uploaded and published through this blog soon. But while that day is not yet today, I hope to continue updating this blog through fellow blogger’s posts. So if you are interested, please feel free to write about anything including technology, science, philosophy, psychology, literature, books, poetry, novels, entertainment, music, movies, television, sports, photography, politics, society, social media, SEO, writing, blogging, freelancing, and so much. As long as there is a personal touch to it, then you’re welcome to post. You may also include a link back to your own site or blog with your chosen keyword and anchor text as mentioned in the guest blogging 101 introduction earlier.